Is your soil is ideal? Take a clean transparent empty glass container.Fill the container about half, loaded with soil collected from various parts of the farm to get a general view. Fill the container almost to the best with water. Leave space for shaking. Fix the cover and shake the container for a few minutes with the goal that every one of the particles is in suspension. Keep your container aside for a few hours, so that particles will settle. 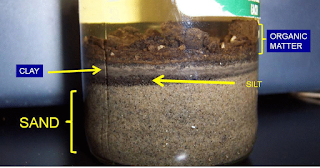 They will isolate into clay, silt, and sand layers. The base layer will be the heavier particles, sand and stones. Next, following layer will be the silt particles. The organic substance might float on the surface of the water as the last layer. The shade/colour of the soil layers provides some insight into its character – light hue soil ordinarily have less organic substance than dark hue soils and dark hue soil warms quicker in the spring. The container test result is 20% clay, 40% Silt, 40% sand then it is Loamy soil, you have the ideal blend. Based on the result you can amend soil which is in low percentage. 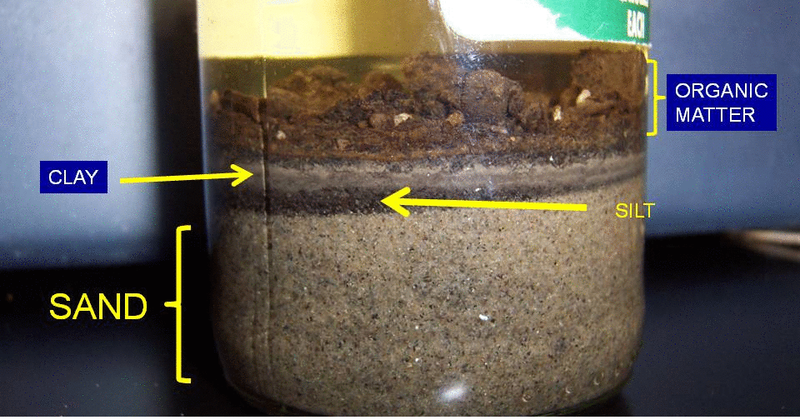 Ex: If your soil has more percentage of sand then add clay. Is your soil is Acidic/Alkaline or Neutral in PH? Gather a cup of soil from various parts of your farm, mix it well and put 2 spoonfuls into a seperate container. Include 1/2 measure of vinegar to the soil. On the off chance that it bubbles, you have alkaline soil, with a pH in the vicinity of 7 and 8. In the event that it doesn't bubble, take 2 spoonfuls of soil and add pure water into a separate container until 2 teaspoons of soil become wet and muddy. Include 1/2 cup of baking soda. On the off chance that it bubbles you have acidic soil, in all likelihood with a pH in the vicinity of 5 and 6. On the off chance that your soil doesn't respond at all for both tests it is neutral with a pH of 7. Is your soil have enough microbes? Bury a piece of muslin cloth into the soil and wait for 6 weeks, if your soil has enough microbes that cotton cloth will disappear.